WHAT IS THERAVENT® SNORE THERAPY? 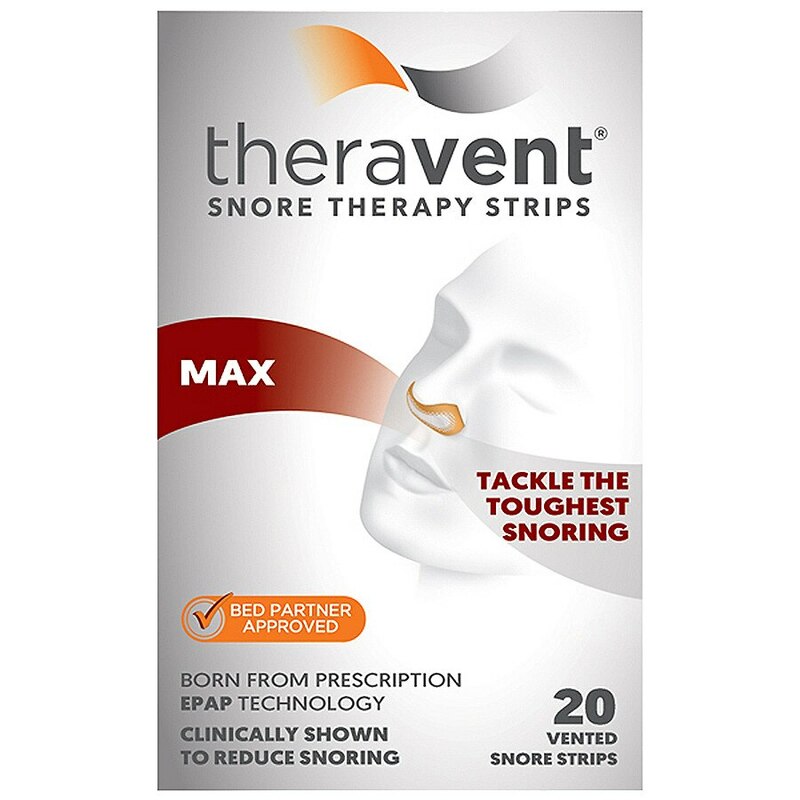 Theravent Snore Therapy is a novel anti-snoring device that helps people stop snoring. Theravent is born from the powerful prescription technology found in Provent Sleep Therapy, however works at a lower resistance level specifically for snoring. The treatment involves small adhesive devices that cover the nostrils. As you breathe in, Theravent's patented MicroValve Technology opens, allowing you to breathe in normally. Then, as you breathe out, the Micro Valves close to create a gentle pressure that naturally opens your airway and relieves snoring. Theravent Snore Therapy is a clinically proven snoring therapy, used nightly, that can give you back the quiet sleep you've been waiting for. Theravent uses patented MicroValve Technology to create Expiratory Positive Airway Pressure (EPAP). This gentle pressure naturally opens your nasal airway to target and treat snoring. The valves are built into an adhesive that you place over your nostrils right before sleep. You will breathe in normally and then feel a gentle resistance as you breathe out. This is the Micro Valves beginning to work. Theravent uses the same technology found in Provent, a prescription device for obstructive sleep apnea. The patented MicroValve Technology is designed to create expiratory positive airway pressure (EPAP) to stop snoring by increasing the pressure inside the airway. Theravent uses the power of your own breathing to create expiratory positive airway pressure (EPAP) to target and treat snoring. How do I use Theravent? REMOVE: Peel paper backing to expose the adhesive. ALIGN: Using a mirror, center the device so that both nostrils are completely covered by the mesh area. APPLY: Place the device so that it completely covers both nostrils. Gently press the adhesive down against your nose to create a seal between the device and your nostrils. CHECK THE SEAL: Make sure the device is sealed around your nose with no wrinkles or gaps, since these can create air leaks. Air leaks reduce the effectiveness of the device. TIPS: If you are having trouble breathing in, remove the device and reapply. You should feel resistance when you breathe out through your nose with your mouth closed. This means the device is applied properly. You can check the device by plugging the center hole in the device with your finger and gently breathing out. If the device is sealed, you should not feel air escaping around the adhesive. If you have an air leak around the adhesive, gently press down around the adhesive. Once you have a proper seal, breathe in and out through your mouth until you fall asleep. You should naturally switch to nasal breathing and your snoring should be treated. If a leak persists, remove device and reapply. Make sure the area around your nostrils is clean, dry, and free of lotion. Use a mirror to apply the device. water or while in the shower. Apply the device just before you are ready to go to sleep. ©2017 Foundation Consumer Healthcare, LLC. All Rights Reserved. When should you not use Theravent? The safety and efficacy of Theravent has not been established for pregnant women or children under 18.